Details "Scuba Periodic Table Men T-Shirt"
In our Lexi&Bö SCUBA periodic table T-shirt for men, the chemistry is just right! 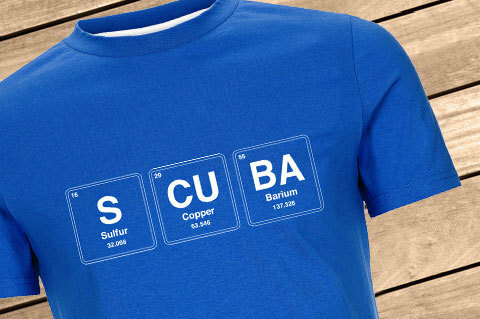 The chemical elements sulfur, copper and barium from the periodic system make a clear statement: SCUBA - because you are in your element while diving! 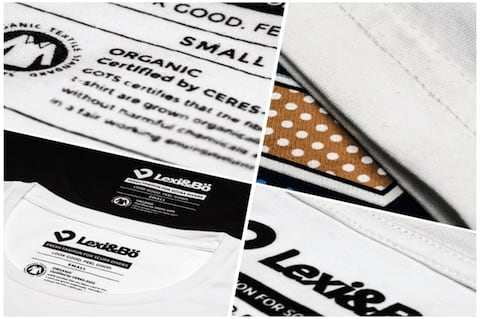 As with all our shirts, a water-based, chemical-free and thus environmentally friendly color was used for printing and also in the production of 100% organic cotton shirt was dispensed with any chemicals. 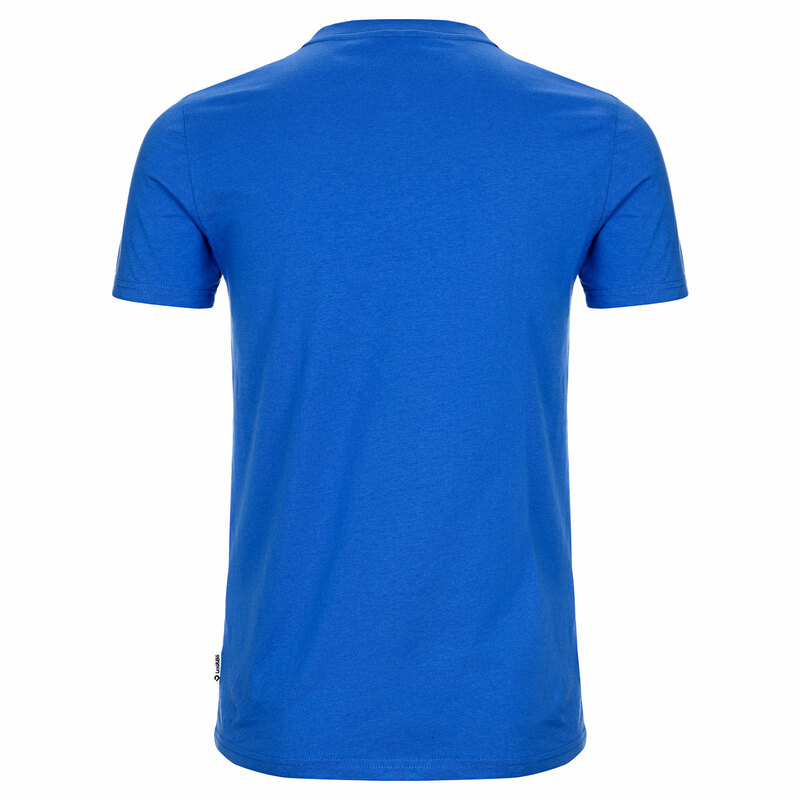 The 150g / m² fabric in blue and black feels super soft, lets your skin breathe and offers you a comfortable fit. To give you a taste of our style, we use double-stitched seams and a ribbed crew neck - so it does not wear out so quickly and keeps its fit. Whether it's too loose shorts or Denim jeans, this shirt is the right choice for you. 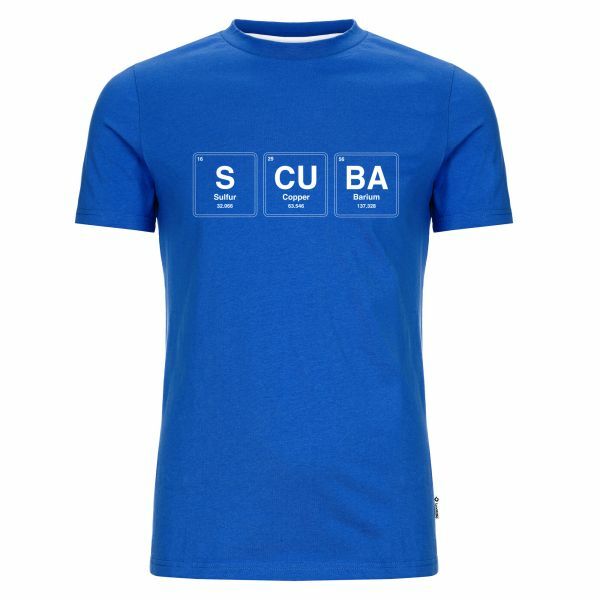 Customer evaluation for "Scuba Periodic Table Men T-Shirt"